AAAI/ACM SIGAI will be holding their annual job fair at the AAAI conference at the Hilton New Orleans Riverside on Monday February 5th, 2018 from 4pm-6pm with informal meet and greet time before 4pm. The job fair is open to all AAAI members, affiliates, and attendees of the AAAI conference. Each of the participating companies will be giving a 1-2 minute talk starting at 4p. Please come and hear what opportunities are available. See the list of Participating Companies for which employers will be at the fair. If you are looking for a job, please head over to the Submit Your CV page to let companies know you are interested and possibly schedule an onsite interview before the conference! The AAAI/ACM SIGAI job fair grew to over 40 participating employers and hundreds of job seekers in 2017. We are happy to continue this program at AAAI-18. 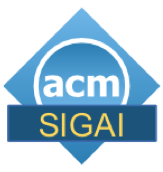 The AAAI/ACM SIGAI job fair is a place for students and professionals looking for internships or jobs to meet with representatives from companies and academia in an informal “meet-and-greet” atmosphere. In the beginning of the event, one representative from each organization has the opportunity to introduce the organization and its job opening(s) for about 1 minute. Afterward, all attendees have a chance to mingle. If you are representing a company, research organization or university and would like to participate in the job fair, please send an email with your contact information to aaai18jobfair@aaai.org and please register at the AAAI Job Fair Registration Link. All job fair participants must register and registration information can be found at the AAAI Main Site. A small participation fee is required (complimentary or discounted participation is available to certain levels of sponsors and exhibitors). At the Job Fair there will be 2-3 hours before the job fair for exhibitors to mingle and man their booths. Each participant in the job fair will have one 6ft table to present / display from.